Reading is just another activity that has been hugely changed by computers and other entertainment technology. I’m writing this post for those of you who still read books—or have the ambition to read them. I don’t believe people will ever stop reading books. Nor will print books die out. Visual and interactive media are compelling forms of communication that have enriched our lives and our ways of telling stories. Yet I have faith that the combined power of well-crafted words and readers’ imaginations will ensure the enduring popularity of simple printed books. Technology has affected not only the formats of what we read, but how we choose our books and other reading materials. In this post, I’d like to share how I choose my books. Andre Alexis’ review of this book gave me an “I can’t wait to read this!” reaction. 1) I read book reviews, mainly from the weekend edition of The Globe and Mail. I thoroughly enjoy reading the book reviews in the Arts section of The Globe. I don’t buy many books. Since reviewed books are typically new, I enter their names and authors on my computer’s “books to read” list. I read them when they arrive at the library, or I ask for them for Christmas gifts. Often the reviews themselves are extremely thought-provoking and well-written. Occasionally, I’m so galvanized by a book review that I’ll buy the book immediately. 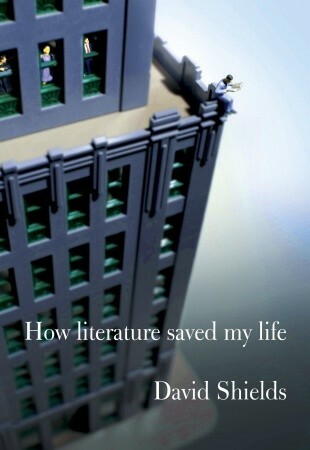 For example, Globe critic André Alexis’ take on How Literature Changed my Life, by David Shields, was a fascinating read on its own. I tried to get the book at my local Chapters but they hadn’t yet received it. After reading Emma Donoghue’s “Room”, I was eager to read anything else by this astoundingly good writer. I found “Astray” in the 7-day loan section. I had to fight with the librarian to let me take it out, because it was severely water-damaged. 2) I browse at my local library. I do two types of browsing. The first is simply scanning the “new” and “express” books sections. If I see a book that I want (after using method #1 above), I check it out. The second type of library browsing requires more time, but it’s (to me at least) very pleasurable and almost a lost art these days. That is browsing randomly amongst the shelves of books, taking out books that I’m attracted to because of their titles, or because I recognize a familiar author’s name, or because I start reading the summary or the blurbs and get ensnared. This kind of browsing goes on until my time runs out, or until I have a stack of at least three or four books. Then I leave the library feeling like a rich person. I’m filled with anticipation about the pages soon to be devoured. The great advantage of this kind of “random browsing” is its unpredictability. You never know what unfamiliar or obscure books you will discover. These may be books that haven’t been mentioned in any mainstream media. They may be books that are old and wouldn’t be available in any bookstore now. They come with not only an older style of language, but with different smells and page textures than newer books. Maybe they have comments penciled into their margins by a reader long dead now. A randomly-chosen book could get you to open your mind to a subject you’ve never been exposed to or curious about before. And who knows where that could lead? 3) I browse at Chapters. There is something enticing about being surrounded by attractive new books. I like browsing at Chapters (but see my pet peeve*). However, I try to resist the urge to buy every book I’d like to read. Browsing in a bookstore is similar to browsing in a library in that you can do the “easy” browsing in the front areas where the heavily marketed books are, or you can browse in the stacks where you might find older “treasures”. One of the differences, of course, is that you won’t find any truly old books in Chapters.I haven’t included second-hand bookstores as an inspiration for my book choices, but that’s simply because I don’t have such a store anywhere near where I live. *Pet peeve: It’s especially irritating to shop at Chapters before Christmas. I find that my browsing is so frequently interrupted by “assistants” that I don’t even have time to read a book cover or a blurb to get an idea what a book is about. If I needed help I would ask one of the 100 or so floor-drones for it. “Le Ton beau de Marot” includes 88 wildly diverse translations of a 16th-century French poem—but so much more! Random browsing in Chapters has led me to numerous treasures. I want to rave about two examples here: both are astounding acts of creativity. They demonstrate how a writer can focus on a topic or person that he is obsessed with, and follow that obsession to the absolute limits of genius. When I read these books, I experience the privilege and excitement of being drawn into worlds I never knew existed. 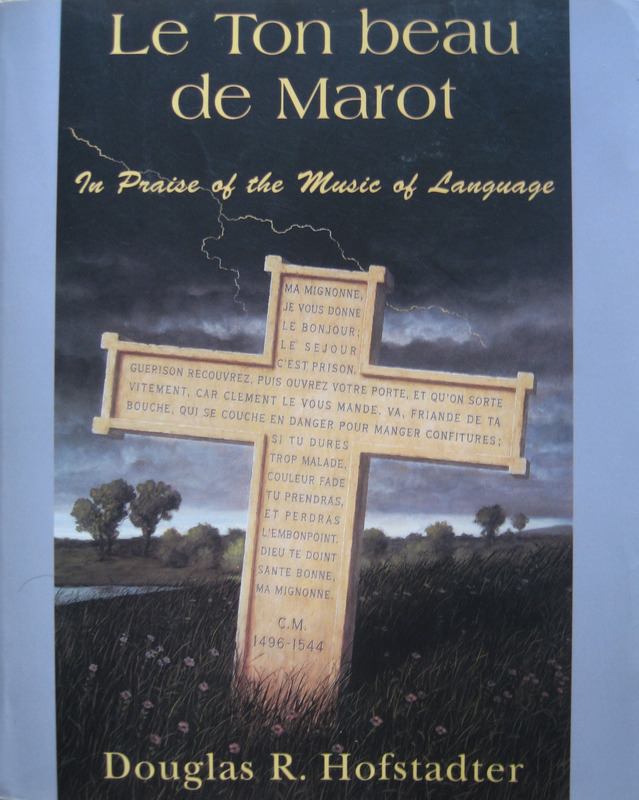 In Le Ton beau de Marot: In Praise of the Music of Language, Douglas R. Hofstadter starts with the goal of translating a short medieval French poem and expands it into a 570-page book that is bursting with the joy, exuberance, and music the author finds in language. Your appreciation of the book will be greater if you have some understanding of French (as I do at an intermediate level), but even without that you will be dazzled by Hofstadter’s insights about the creative art of translation. Starting with the anagram “translation = lost in an art”, this book is a challenging intellectual journey; surprising, delightful, and hugely rewarding. Anything I could write in praise of this book would be inadequate. 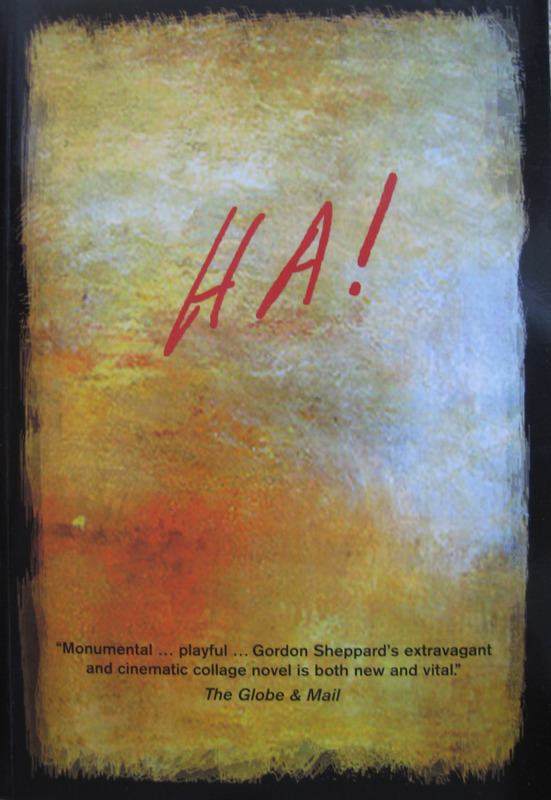 Gordon Sheppard’s “Ha!” is a tribute to Quebec separatist writer Hubert Aquin. Its creation took 25 years. A second “treasure” that I found by accident at Chapters was a strange, unconventional book whose cover blurbs intrigued me irresistibly: Ha! 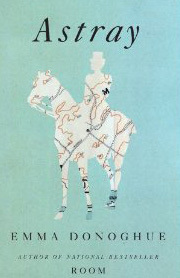 A Self-Murder Mystery, by Gordon Sheppard. Sheppard, a well-known Canadian writer, artist and filmmaker in the ’70s, spent 25 years creating this almost-900-page book that Quill & Quire reviewer Nicholas Dinka calls a “genre-busting beast.” (Read Dinka’s review of Ha! here.) Ha! is an investigation into the 1977 suicide of Sheppard’s friend Hubert Aquin, a Quebec separatist writer. The book is presented entirely as a series of interviews with many of Aquin’s friends and acquaintances, plus quotations from Flaubert, Joyce, and Dante, and images from artistic geniuses like da Vinci and Goya. According to Dinka, Sheppard’s purpose is not only to understand the life, death and work of Hubert Aquin, but to ask difficult questions about the “potentially destructive struggle” of every artist’s life. 4) I follow suggestions from friends whose opinions I respect, whether I’m talking to them in person or just see one of their comments online. 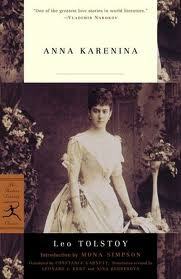 5) My curiosity about a book is re-awakened after seeing the movie version. Usually I’ve read the book before I see the movie. The movie often compels me to go back and read the book. I’m fascinated by the creative process that screenwriters and directors go through as they make decisions about how to transform a book into a movie. This must be especially difficult when a very long book (like Tolstoy’s Anna Karenina) has to be reduced to a two-hour film. The recent movie version with its theatrical effects did justice to Tolstoy’s great novel, but had to omit much of the parallel love story of Lenin and Kitty. I know it’s easy to let your computer choose your books for you. A site like Amazon.com recommends books for you based on data it’s aggregated about your browsing, purchasing, and reading habits. Writer and publisher David Gaughram’s states in his recent blog post that Amazon is considered to be the best of these book e-commerce sites. The reason, he says, is that Amazon shows you the book you are most likely to buy, without taking price or the author’s history/reputation into account. For this reason, self-publishers fare better on Amazon, according to Gaughran. Does anyone have a book to rave about?